Our next meeting of the Langley Contractors Steering Council is Thursday, March 15 at 2 pm in Room #305, Building #2101. Our featured speaker will be Rear Admiral U.S. Navy (Ret.) Craig R. Quigley, Executive Director of the Hampton Roads Military and Federal Facilities Alliance (HRMFFA). HRMFFA is an initiative of the Hampton Roads Mayors and Chairs Caucus. The Alliance was established to collectively focus area efforts on preserving and growing Federal capabilities within the Hampton Roads region. Craig Quigley serves as the Executive Director of the Hampton Roads Military & Federal Facilities Alliance, a public-private partnership dedicated to attracting, retaining and growing federal facilities in the region. A career naval officer, Mr. Quigley served 27 years on active duty, achieving the rank of rear admiral and serving as Deputy Assistant Secretary of Defense (Public Affairs) at the Pentagon. Upon retiring from the Navy, Mr. Quigley accepted a position as Vice President of Communications & Public Affairs for Lockheed Martin Maritime Systems & Sensors, leading a 30-person communications team across eight states for a $3.5B operating company. Following Lockheed Martin, Mr. Quigley returned to federal government service as the Director of Communication for U.S. Joint Forces Command in Hampton Roads, Virginia during a time of great transition in that organization. Mr. Quigley is a 1975 graduate of the U.S. Naval Academy at Annapolis, Md. and has served as president of his class. A native of Winthrop, Iowa, he is an active public speaker, and believes in the value of mentoring juniors and developing teamwork to accomplish difficult objectives. He has been listed in “Who’s Who in American High Schools” and “Who’s Who in American Colleges and Universities,” and was selected as an “Outstanding Young Man of America” in 1980. He serves as a member of the Communications Committee of the U.S. Naval Academy Alumni Association Board of Trustees, as well as a member of the Board of the Hampton Roads Naval Historic Foundation. 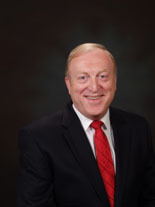 Mr. Quigley assumed his current duties in September 2010. Mr. Steve Waddell, Vice President, Reed Integration, Inc.
Website design and hosting provided by ViGYAN, Inc.